Hello Ladies, Today I want to show off my beautiful nails. 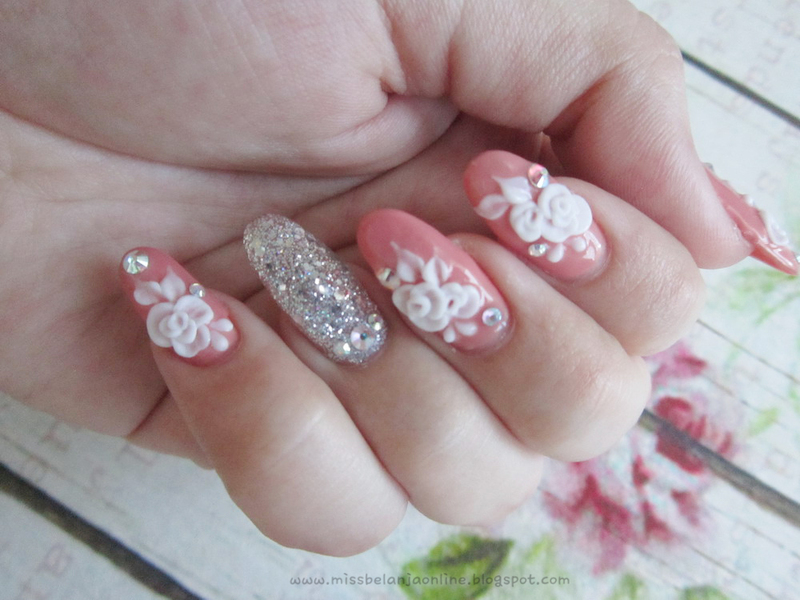 My fellow blogger, Kiki is a talented woman behind these beautiful nails. She owned a nail salon, and few weeks ago, she offered me to try the nail extension. I never have long nails before because I don't really like it and my nails are kinda weak (even kiki said this), so whenever I had a long nail, it tends to crack. When kiki said she want to sponsored nail extension to me, I talk to myself~ this is the time! time to try having a long nail without lot of effort to grow it by myself. So, I went to her house (which is near my house hehehe) after works. She already mentioned to me before that the process will be long and took 3-4 hours. Turns out I spent 3.5 hours for my nails. Luckily I have a happy time with Nono, Kiki's BF and Kiki. We talk all the time about everything <3 Anyway, this is a glimpse of the process, it is not a complete process, because most of the time I forgot to snap pictures due to happily chat with kiki and her BF. First Kiki clean my nails and then set the extension nails. 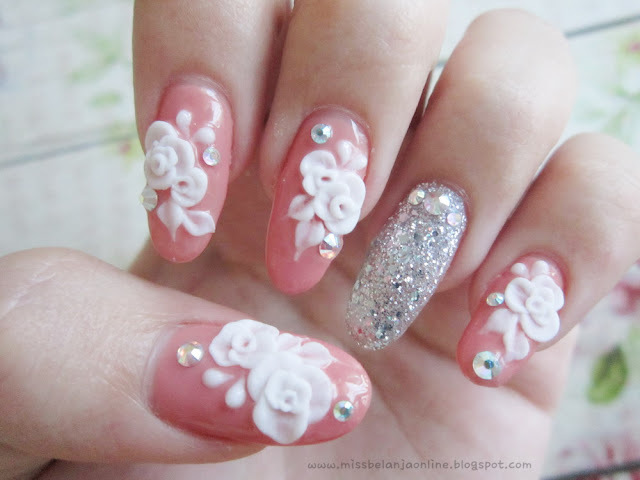 After that she started to make the nail art. Fresh from the oven! Very beautiful!